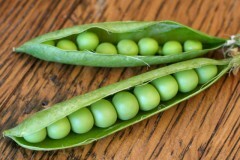 Hey kids, we’re having peas. come on mom, we had vegetables this week. I pulverized them into baby food. gross and gross. Yeah, and I added mint too. what, peas aren’t candy. Best part. we don’t have to eat it? No, it’s cold. omg, give me anything but that.